There are over 200 apps and games available on Samsung Gear VR. Where the recent favorites may include Goosebumps, PGA TOUR, and Hidden Temple and some more great hits on the way. We cannot wait to dive up to multiplayer battles in Herobound: Gladiators, catch a giant fish in Bait and puzzle the way to safety. The presence of Video content especially the 360 video has been an incredibly modern specification, with over 1 million hours of video can be watched in Samsung Gear VR! Samsung has made easier to record and upload personal 360 videos to Gear VR with the help of new Gear 360 camera which has been unveiled for the people. This device makes the hands easy to capture moments from every single angle and instantly saved to the camera roll. This is so one can upload straight to Gear VR or share with friends on Facebook. The Samsung Gear VR has a user interface as—a proper touchpad, back button, volume key. The primary connection used in Samsung Gear VR is Micro USB connection to Galaxy Note 5, S6, S6 Edge, and S6 Edge+. This specification is going to blow you away when it comes to styling and appearance. Samsung has Oculus beat with Gear VR headset. There is no word denying that how trendy this thing looks, even if the entire concept of fashionable VR is completely foreign to people today. At least towards the exterior, it is the perfect complement to the latest Samsung’s mobile devices, which is appreciated for its touch feature considering as it works so closely in conjunction with the Galaxy Note 5 and the trio handsets of Galaxy S6. Counted on performance-wise, Gear VR is a different beast as the Gear VR presents a fair challenge to the rift for resolution, as one can imagine. An Ultra HD image exhibited from a 6-inch smartphone likely brightens up in comparison to others, and graphics performance is utmost high by smartphone hardware. 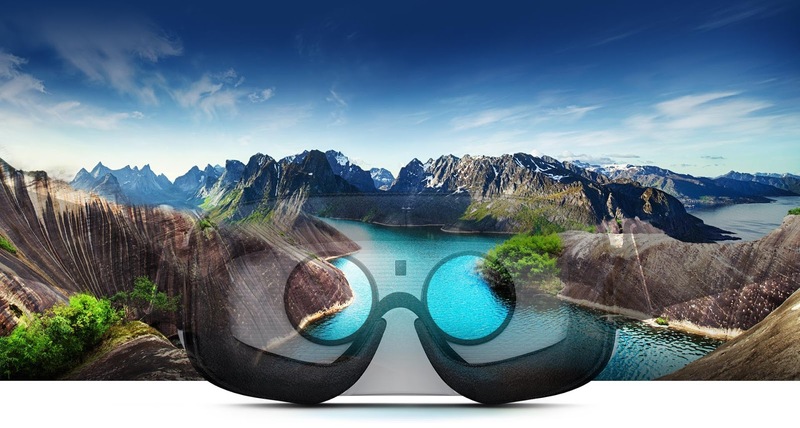 In Samsung Gear VR specification, it delivers almost finest paradoxical fronts. As said that Samsung is one of the biggest manufacturers of smartphones in the world, so regarding potential audience it has the Gear VR has quite a large pool to dip into as well.